As you cruise above the clouds, you can easily stay in touch with your friends and family, or simply conduct your business affairs. Today on-board WiFi networks are being provided through cell phone towers, and can only be accessed while you are flying over land. GLWiFi, in cooperation with Deutsche Telecom, brings a satellite based broadband WiFi network, allowing you to stay in touch for the duration of your entire intercontinental flight, both over land and sea. 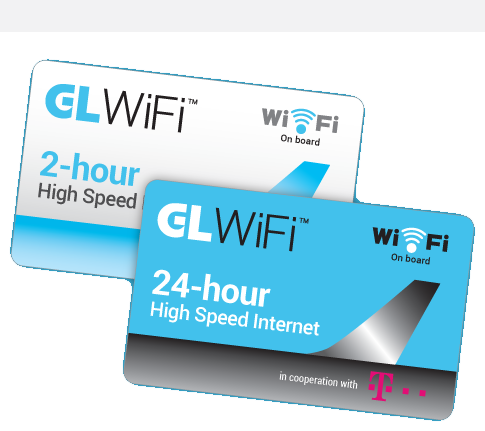 Simply purchase your GLWiFi Pass prior to boarding, and look out for the WiFi signs on-board your aircraft! It’s that easy. You are now set to enjoy your flight with WiFi access! Let GLWiFi keep you connected, over land or ocean, on your next intercontinental flight. Long haul or short flight? Purchase one of our GLWiFi Passes online and stay connected above the clouds! Taking a short flight? Stay connected with your 2-hr pass. Use the flight WiFi internet at your convenience whether you fly above the sea or over land! Pass expires 2 hours after activation and is not transferable between airlines. Discover our 24-hr pass. 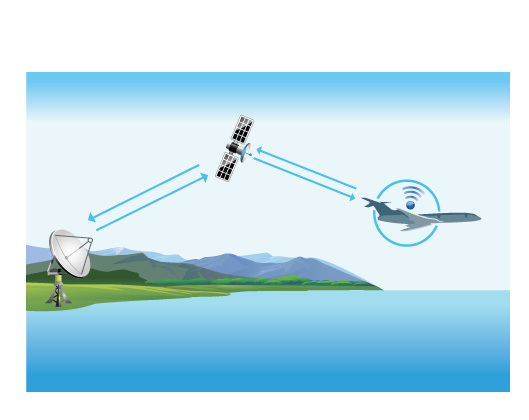 Perfect for long journeys around the world, this pass allows you to access the flight WiFi internet whether you fly above the sea or over land. Stay connected at all times. Pass expires 24 hours after activation and is not transferable between airlines. * Restrictions apply, check with your airline.